Providing free delivery and free assembly to all customers in Nottingham, our dedicated team of experts are ready to help choose your perfect furniture, whether that be seating, desks, storage, tables or anything else. Established in 1984, Leicester Office Equipment offers the best in new and used office furniture, as well as providing free advice, free planning services, and offering expert help with backcare. 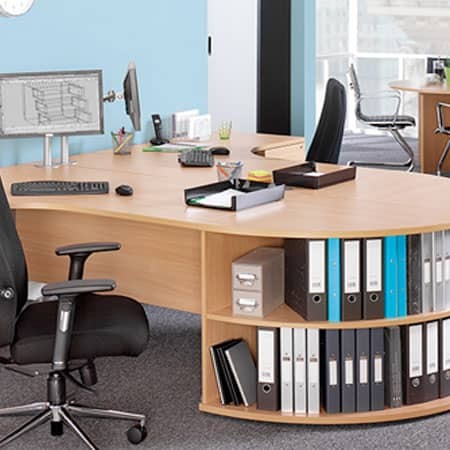 We provide new and used furniture for a variety of purposes, including home offices, businesses, councils, school, universities, NHS, Government departments and much more. If you have furniture that you are going to be replacing, then we are always happy to remove your old furniture when we deliver your new furniture. For directions to our showroom in Leicester, simply go our showroom directions page and enter your address. If you have any questions or would like to get in touch, you can call our team on 0800 046 7310 or complete our online contact form. Alternatively, we are always happy to call you by completing our request a callback form. Sorry, we are currently Closed. However you can Click Here to request a callback.